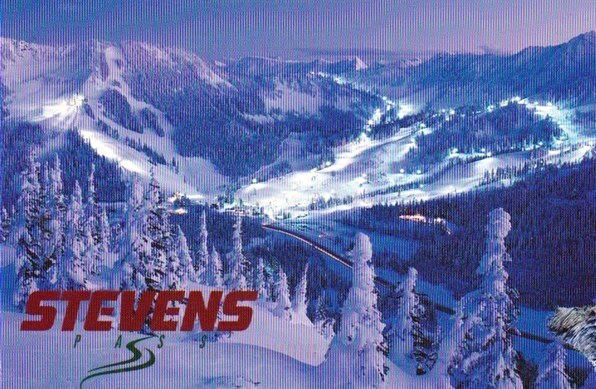 Stevens Pass (elevation 4,056 ft (1,236 m)) is a mountain pass through the Cascade Mountains located at the border of King County and Chelan County in Washington, United States. U.S. Highway 2 travels over the pass, reaching a maximum elevation of 4,061 feet (1,238 m). The Pacific Crest Trail crosses the highway at Stevens Pass. The BNSF Railway's Cascade Tunnel lies 1,180 feet (400 m) below the pass summit. The pass is near Stevens Pass Ski Area, which is on Cowboy Mountain and Big Chief Mountain.